Spring Break Means.... Making Tofu? 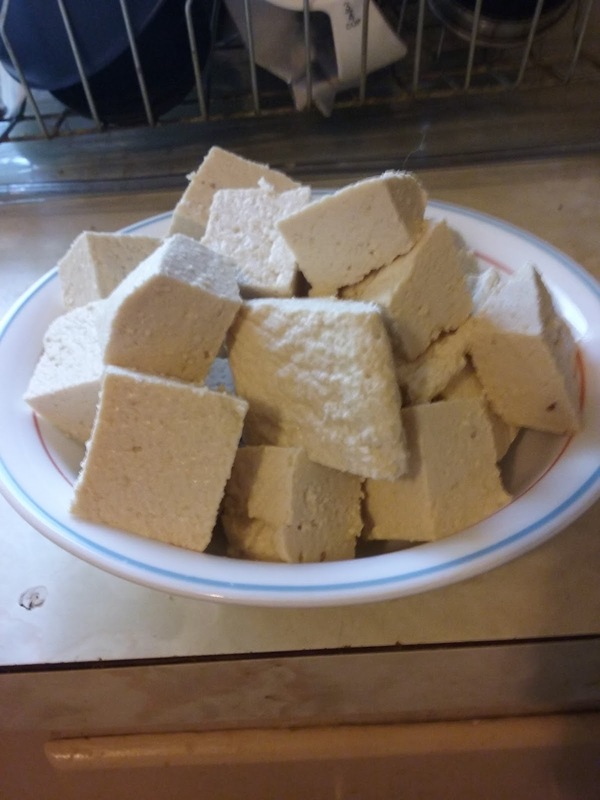 Homemade tofu--just like mom used to make. Guess what I did? I made tofu. Really. The first time I had tofu, I was in the Marines--and it wasn't a form of punishment. Instead, a friend had turned me on to an alternative way of eating, which included eliminating the consumption of meat, dairy, and refined sugar. 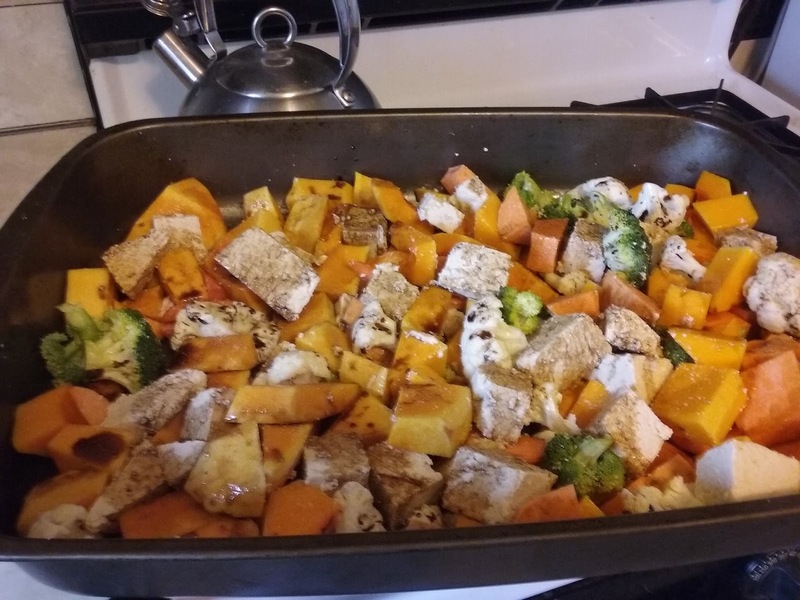 In its place, I was eating more whole grains, vegetables, beans, and things like tofu. At first, I couldn't stand the spongy tastelessness of tofu. But with time and creative cooking, I developed a "taste" for it. I learned that tofu is good at absorbing other flavors and that it works well in things like a veggie stir-fry. Still, tofu was a means to an end and not an end in itself. As a healthy protein source, it was fine. But tofu by itself... no thank you. This changed, slightly, when I had some actual "fresh" tofu. There were little shops on the island that made their own tofu, from the soybeans to the final coagulated lump. Once I had some, I was surprised by the hearty texture and distinct taste--yes TASTE--of this food product. I haven't had this sort of tofu since leaving the island. Instead, I have been limited by what I can purchase in grocery stores. Then a short while ago, I found this recipe for homemade tofu. Over the break, I gave it a whirl. And I made a mess. But I also made a nice slab of tofu. I do not have the taste memory to compare it with the Okinawan variety. But my homemade tofu has been far ahead of anything that I have eaten lately. Indeed, this is what spring break is for me now. It's kind of like going to Daytona Beach. Only instead of the ocean, sun, and sand, I am enjoying a processed soy product mixed in to a vegetable medley. Same thing.